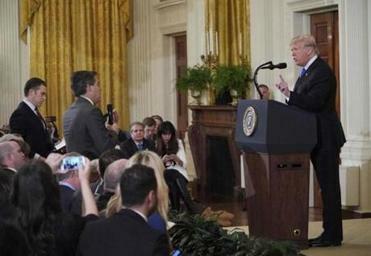 President Donald Trump watched as a White House aide, left, tried to take the microphone from CNN&apos;s Jim Acosta, right, during a news conference at the White House on Wednesday. 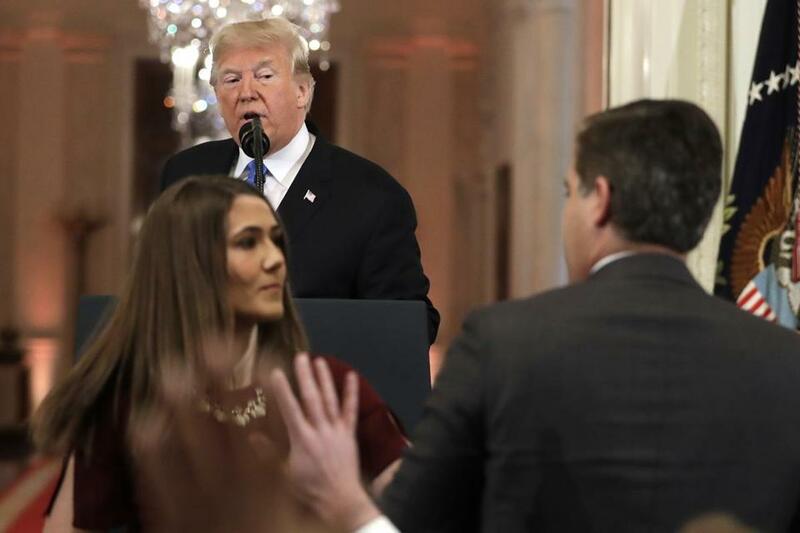 The battle between President Donald Trump’s White House and CNN’s Jim Acosta became incendiary Wednesday. After a contentious exchange between Trump and Acosta at a press conference Wednesday afternoon — one day after the midterm elections — Acosta was prevented from entering the White House on Wednesday night. The statement from Sanders said “we will, however, never tolerate a reporter placing his hands on a young woman just trying to do her job as a White House intern.” She did not say to whom she was referring, but the implication was that it was Acosta. Video of the press conference shows a young woman, presumably the intern, trying to take away the microphone as Acosta questions Trump. Acosta seems to make contact with her arm. On Thursday, Sanders said the White House stands by the decision. “The question is: did the reporter make contact or not? The video is clear, he did. We stand by our statement,” she said, according to a pool report.